Trying to eat healthy? Start by opening your Bible to Deuteronomy 8:8, where the Israelites are promised “a good land…, a land of wheat and barley, of vines, figs, and pomegranates, a land of olive trees and honey.” The ancients might not have known the word “antioxidant,” but they were onto something with this list of biblical “super-foods.” Explore this gallery to find out exactly how on-target they were. This grain, which is found in everything from bread to pasta to cakes, is healthier when it is refined as little as possible. Whole-wheat products (those that are certified 100% whole wheat) contain 30 percent of your recommended daily fiber intake, as well as high levels of manganese and magnesium. A diet rich in whole grains is also thought to increase your energy level and lower your risk of type-2 diabetes, gallstones, and other health issues. Another whole grain, barley can be found in breads and cereals, as well as in hearty winter soups. High in fiber, barley is good for intestinal health and can lower cholesterol and reduce your risk of colon cancer and type-2 diabetes if eaten regularly. Barley also contains trace amounts of copper, which have been shown to help reduce the symptoms of arthritis. Everyone knows that grape juice and red wine are tasty—but healthy? Grapes contain nutritional compounds called flavonoids, which are believed to reduce your risk of blood clots and protect your body from damage by the “free radicals” found in LDL, or “bad,” cholesterol. Rich in antioxidants, grapes may provide protection against cardiovascular disease, particularly in women. These sweet fruits, eaten either dried or fresh, are high in potassium, a mineral that helps control blood pressure. They are also high in dietary fiber, which may help you lose weight, and they are a fruit source of calcium, which can help preserve bone density. Fig leaves, which are not typically eaten but can be made into an extract, are thought to help lower insulin levels in diabetics. These strange-looking seed fruits are back in vogue as health-giving super-foods, particularly in juice form. The fruits are rich in antioxidants, which prevent LDL cholesterol from doing its damage, and it helps prevent blood clots by keeping blood platelets from clumping together. Pomegranates may also help reduce the risk of breast cancer and lessen the symptoms of arthritis. Olives, and the extra-virgin oil that is made from a single pressing of the fruit, contain many of the antioxidants that are thought to protect against the oxidation of LDL cholesterol compounds. They also are high in monounsaturated fatty acids, which are called “the healing fats” because they lower the effects of “bad” cholesterol while raising “good” cholesterol levels. High in vitamin E, olive oil also is thought to protect against colon cancer, and it is helpful in fighting gastritis and other stomach ailments. Raw honey, in addition to being a natural sweetener, is replete with antioxidants and is considered to be an anti-viral, anti-bacterial, anti-fungal substance. 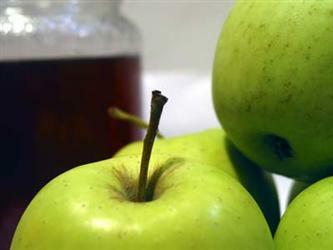 It is thought to have tumor-fighting properties, and may help prevent colon cancer. The daily consumption of a spoonful of honey is said to increase antioxidant levels in the blood, and is the healthiest sweetener for type-2 diabetics. Honey also may have wound-healing and muscle-regenerating properties. Posted on July 11, 2012, in Healthy Fab and tagged barley, Bible, diet, figs, food, grapes, health, healthy-living, honey, olive oil, pomegranate, super foods, wheat. Bookmark the permalink. Leave a comment.